Enjoy every opportunity from our exceptional Golden Valley, MN, community. Lush and tranquil surroundings, never far from the bustle of a major metropolitan city—life in Golden Valley, MN, comes with many perks. 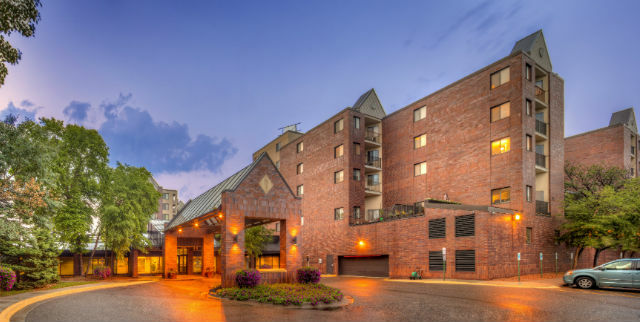 At home in our retirement community, you’ll enjoy a wooded, park-like campus adjacent to a creek and a nature preserve, just 10 minutes from downtown Minneapolis and its endless cultural arts, dining and shopping opportunities. Covenant Village of Golden Valley offers an array of stunning and completely maintenance-free studio, one-bedroom, one plus den and two-bedroom apartment homes. Our peaceful, self-contained, and perfectly located retirement community offers the senior living advantages and value you won’t find elsewhere, with the confidence of knowing you have access to health services for life. What else can you only find at Covenant Village of Golden Valley? The warmth and welcoming fellowship of our residents: retired professionals who are known for their on-the-go energy and their civic and spiritual values.